I just noticed this today as I was checking up on everything, and these tiny white specks were floating in my freshwater pool. Does anyone know what they could be? Re: White Specks in Water! Those look like springtails to me. (especially if they are jumping trying to get out of the water). They are great little bugs. Help keep the crabitat clean. A lot of times you will see a bunch of them, and then they will get in check. GotButterflies wrote: Those look like springtails to me. (especially if they are jumping trying to get out of the water). They are great little bugs. Help keep the crabitat clean. A lot of times you will see a bunch of them, and then they will get in check. Where did they actually come from? I don’t mind another type of bug in my tank, it really helps me out. I did feed them fresh vegetables, and eggs last night. I thought springtails were black. 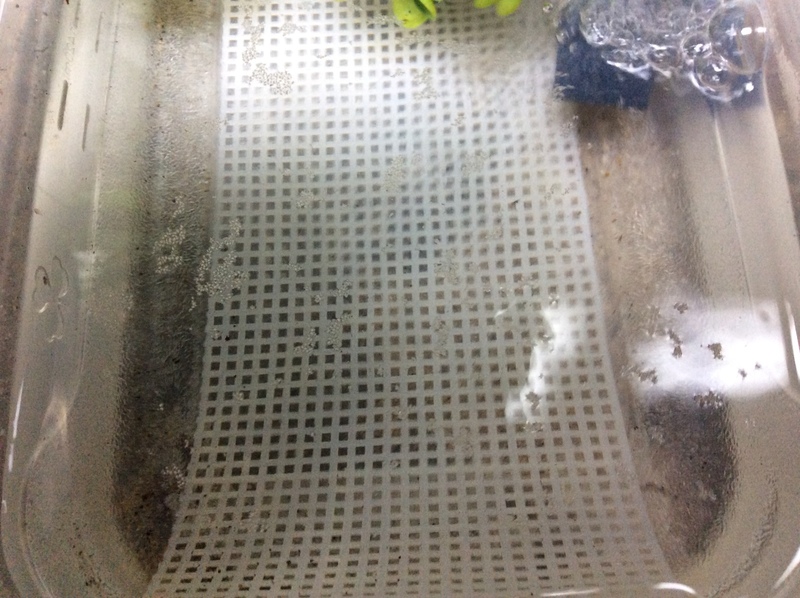 Stella wrote: I just noticed this today as I was checking up on everything, and these tiny white specks were floating in my freshwater pool. Does anyone know what they could be? Not sure where that page is ... for the what bug is that ?? And I have to use the taptalk app or delete it ... everytime I try to go on the internet site now it take me straight to the app ... which I dislike I like to use both ..